Spend time enjoying your yard not working on it with worry free synthetic turf, with minimal maintenance and no mowing, watering, or chemicals. Synthetic lawn stands up better to drought, shade and extra-damp conditions. 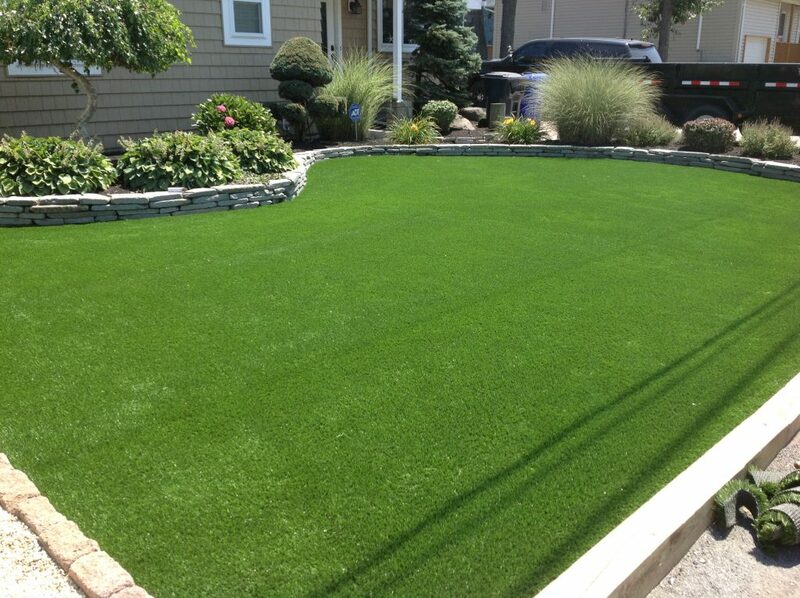 Non-allegenic, durable and resilient, Synthetic turf is great for pet areas. No matter what your layout, we can create the look and feel for your space. Want to improve your golf game from the comfort of your home? The best way to improve your golf game is to work on your short game. 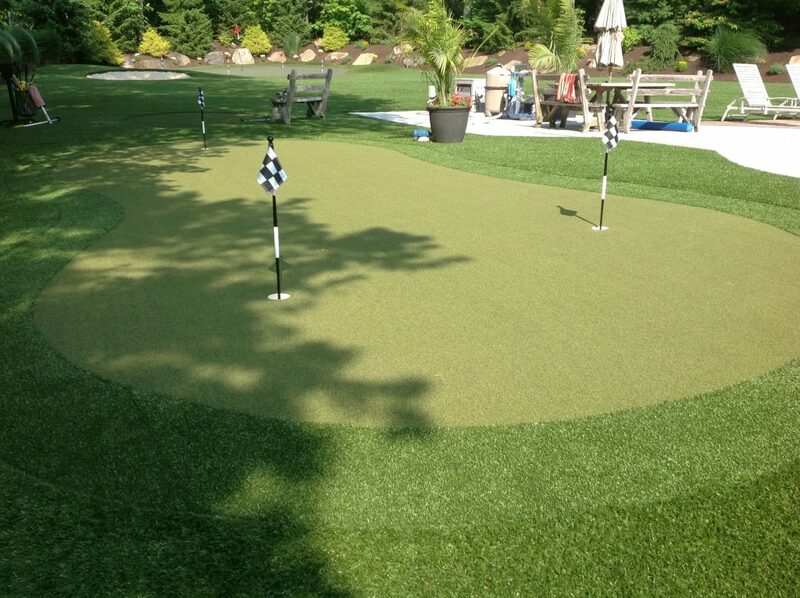 Synthetic turf putting greens provide golfers with a convenient way to practice and a fun and entertaining addition to any home that family and friends will love and enjoy. 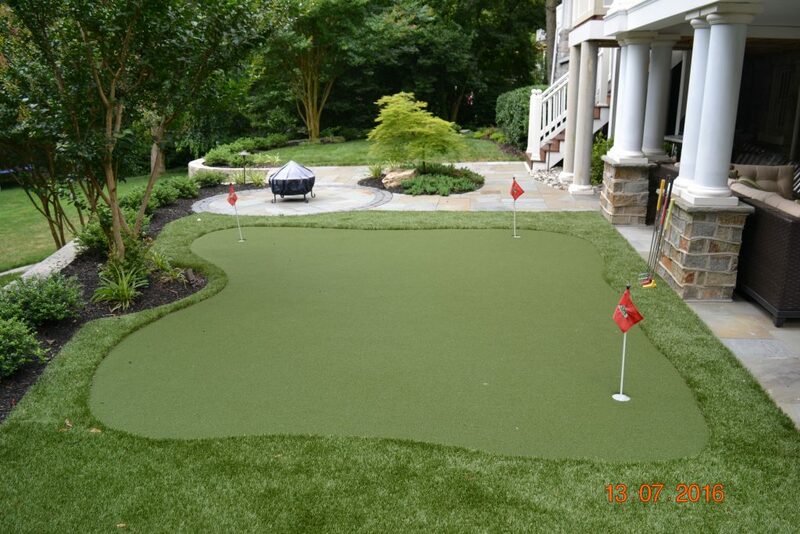 From play areas, pet runs to putting greens, your synthetic turf project can be done right, with the latest highest-quality materials available.